Terese (T.C.) Richmond has over 30 years' experience representing state and local governmental agencies in Washington and Arizona. Her practice focuses on environmental law, land use, water law and climate change. She has broad experience in natural resource policy, laws and regulations, and the governance of large organizations, and public-private partnerships. She provides proactive legal support for organizations so that they are effective and efficient in realizing their missions. 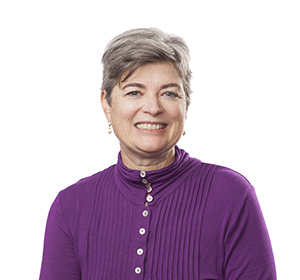 She serves as general counsel for Cascade Water Alliance, a municipal corporation composed of Puget Sound cities and special-purpose districts, and as counsel for the University of Washington, and other public and private organizations. T.C. currently serves as a committee member of the Independent Advisory Committee (IAC) on Applied Climate Assessment, supported by the State of New York joined with Columbia University and the America Meteorological Society to prepare recommendations on improvements to the US Sustained National Climate Assessment addressed to federal science agencies, state and municipal governments, and civil society organizations. She served as the Vice-Chair of the National Climate Assessment Development and Advisory Committee where she led the 60-person Federal Advisory Committee that oversaw the development of the Third National Climate Assessment. T.C. also serves on the Board of Advisors of the Dividing the Waters Program of The National Judicial College. Prior to joining Van Ness Feldman, T.C. was Senior Counsel for the Attorney General's Office-University of Washington Division. There, she represented the University in the areas of environmental law, campus planning, local land use, real estate, environmental health and safety, export control and museum law. As an Assistant Attorney General, T.C. also represented the Washington State Department of Fish and Wildlife and the Washington Department of Ecology in state and federal trial and appellate courts and served on the Attorney General Formal Opinion Committee. In addition, T.C. served as Chief Counsel to the Arizona Department of Water Resources; Special Assistant to the Governor (WA) regarding federal water resource legislation; and King County Senior Deputy Prosecuting Attorney, Transit and Water Quality Section. T.C. served as a Law Clerk, Justice Robert Brachtenbach. Washington State Supreme Court. Serves as General Counsel for Cascade Water Alliance, a nonprofit corporation composed of municipal corporations and special-purpose districts operating under an Interlocal Agreement for the purpose of its members to plan, develop, and operate a water supply system and regional assets to meet its members' current and future drinking water needs. Serves as General Counsel for Building Changes, a nonprofit corporation with public and private funding working to end family homelessness. Provides land use and environmental permitting to several municipal, county, and state agencies, irrigation districts, and other municipal corporations and special purpose districts, with a focus on State Environmental Policy Act (SEPA) and climate change. Represented the University of Washington in the areas of environmental law; land use; real estate; health and safety laws; export control regulation; and open public meetings including representation of the museums, theaters, and radio stations. As King County Senior Deputy Prosecuting Attorney, Transit and Water Quality Section, counseled on environmental issues including those related to planning, construction, and operation of waste water treatment plants, water supply issues, electrical utility regulation, bio-solids regulation, and SEPA. Served as Chief Counsel to the Arizona Department of Water Resources, providing legal counsel to the Director and supervising the department's legal staff in all legal matters, including federal and state court litigation, administrative review matters, interstate negotiations, Indian water rights negotiations, endangered species act issues, grants programs, contracting, state and federal legislation, and personnel matters. Served as Special Assistant to the Governor, Washington State, negotiating federal water resource legislation with Congressional delegation, Indian tribes, agricultural interests, environmental groups, and federal agencies in the Yakima River Basin, and worked with media, local governmental entities, state legislature and the public. Represented Washington Department of Fisheries and Department of Wildlife (now a combined department) in state and federal trial and appellate courts, in administrative hearings, and in legislative, rule-making and enforcement matters. Represented Washington Department of Ecology in state and federal trial and appellate courts, in administrative hearings, and in negotiations. Areas of concentration were federal pesticide laws, federal Superfund and hazardous waste laws, and the state and federal Clean Water Act and Clean Air Act. Presenter, "The Procedural Differences Between NEPA and SEPA"
Panelist, "Water Infrastructure and Climate Change: What Happens When the Past is No Longer Prologue?" Panel Moderator, "Local Level Adaptation/Resilience Strategies"
Speaker, "Financing Sustainable and Resilient Infrastructure"
Speaker, "Policy and Utility Perspectives on the Best Strategies to Increase Resilience to the Impacts of Climate Change on Water Resources"
Speaker, "Climate Change: Adaptation and Increasing Resilience and How to Incorporate Climate Science into Decision Making"